Children are big fans of whimsy and wonder, and this self-published book has lashings of both. A 'girl who dreamed' takes the reader on a magical journey around the world. It's an adventure that's rich with sensory experiences and glorious sights. 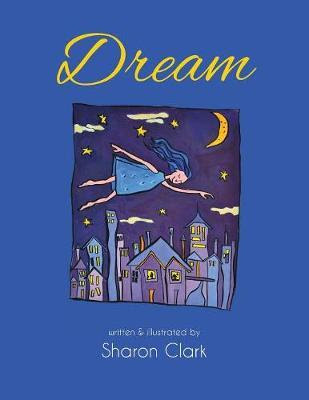 Sharon Clark's text is lovely in its simplicity and her vibrant illustrations fill each page with colour and a childlike air of mystery. While the book is well produced and designed, Clark's divine illustrations suffer from poor paper quality and printing, although the cover is rich and lustrous. There are also some small editing details that could do with extra polish, but these faults are generally overshadowed by the pure delight of Clark's work. Young children will love following the girl's adventure and imagining where their own dreams could take them. Thank you for your kind review Penny. A new print edition of Dream is available in premium colour.